Paul was born in London, UK, but grew up in Cape Town, South Africa. He developed a curiosity and love for music when he began classical guitar lessons at the age of 10, and from then on strived to educate himself in all aspects of music – listening, history, theory and composition. He graduated to bass guitar aged seventeen and this soon became his first love. Returning to the UK, he joined his first band in the 80’s achieving success in a thriving originals band, Warm Snorkel. 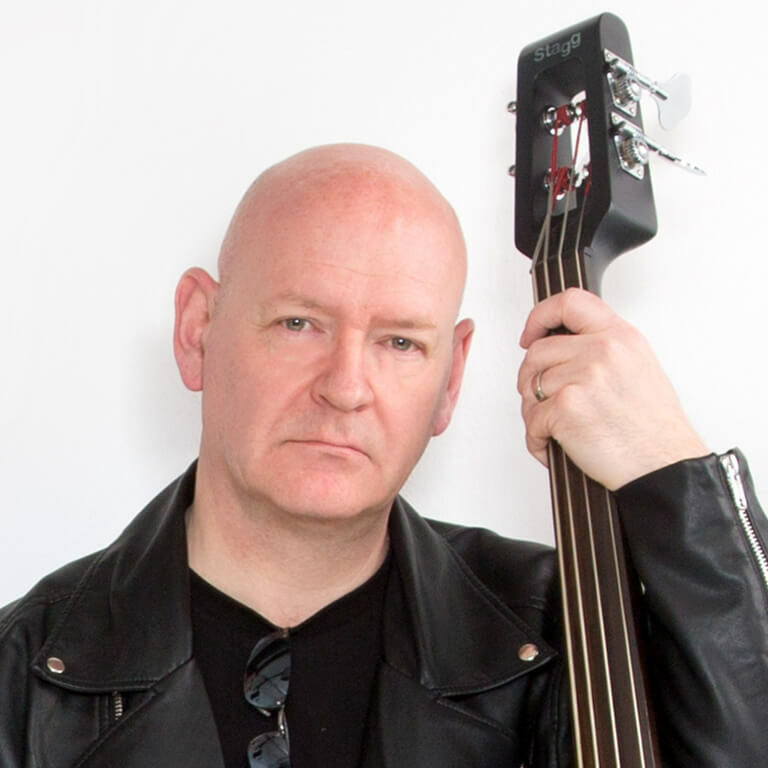 Since then Paul has performed and worked with numerous bands and artists across many genres encompassing rock, blues, prog, funk and even big band. Paul’s work on his electric upright offers a unique sound to proceedings at the lower frequencies, which is very evident in the song, Searching. Paul has known Rob for some years, and continues to play acoustic and flamenco guitar when time allows. Led Zeppelin, Pink Floyd, Yes, The Blue Nile, Evanescence, Porcupine Tree and artists such as Stanley Clark, Marcus Miller and Miles Davis.